In 2016, activists around the country gathered at the Standing Rock Sioux reservation in North Dakota to protest the construction of the Dakota Access Pipeline, which they said could have detrimental environmental consequences. While the most publicized depictions of the historical event were photos and videos of protests between activists and police, The New York Times decided to create a 360-degree video on how food was being provided to those in the camps. Although the pipeline might be the most covered event concerning native communities in the United States, indigenous groups around the world are starting to use new technology to not only preserve their heritage, but also document their culture in the present day. 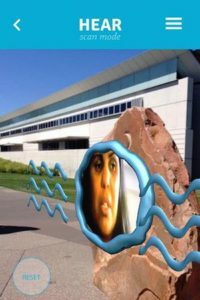 Given the prevalence of Native American stereotypes in popular media and continued oppression many populations continue to face at a global level, these immersive projects can showcase the diversity of indigenous people’s experiences and their triumphs and struggles. In North America, much of this innovation has been in Canada. Last year’s 2167 project, which was created TIFF, imagineNATIVE, Pinnguaq and the Initiative for Indigenous Futures, invited six Indigenous artist to explore what Canada will look like in 150 years. Half of the installations will premiere at Toronto’s TIFF Bell Lightbox in June, and the rest will be shown at the imagineNATIVE Film & Media Arts Festival in October. Innuksuk built her own 360-degree camera rig, “capturing scenes around the globe and testing out new ways of expressing and representing herself and her culture—and bringing both technology and teachings back to her home of Nunavut.” She showed her film interpretation of an Inuit myth, “Kajutaijuq: The Spirit That Comes,” at TIFF in 2014. Others are using mobile technology to record their history. Entrepreneur Adrian Duke invented Wikiupedia, “a location-based story catching app that allows the Aboriginal community to share their stories, traditional knowledge and any other information that they would like, using a bunch of different media sources,” as Duke told CBC. Wikipedia is named after the “wikiup” hut and will use AR in addition to videos, images and audio. collaboration with the Telstra Foundation, works to encourage innovation by converting “Indigenous innovation into socio-economic wellbeing for the community.” One new technology project aimed at highlighting indigenous history is Digital Rangers, a guide of sorts that uses triggers and AR to provide information about important Aboriginal landmarks around Australia. 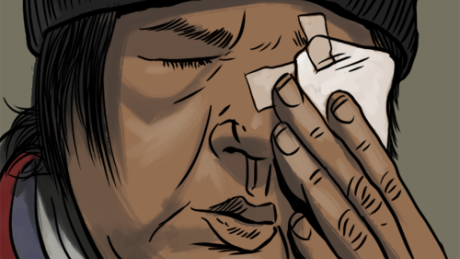 Empathetic Media has also centered the experiences of indigenous people in our interactive comic “Marlene Bird: Aboriginal woman’s story of struggle and survival.” The project is narrated by Canadian journalist Duncan McCue, who is a member of the Chippewas of Georgina Island First Nation. Bird, who is Cree, deals with the horrific effects of having been assaulted and set on fire while navigating being homeless with her partner in Prince Albert, Saskatchewan. “This project represents our values and interests. Different technologies combined with art allow us to create individual stories and dialogues,” said Empathetic Media Project Manager Katharina Finger. While we believe these are important voices to highlight, Bird is only one person. We think there should be more projects showcasing the experiences of indigenous people around the world. If you have a story you want to tell, contact us at info@empatheticmedia.com.